18ct yellow gold 1.88ct citrine & 0.08ct diamond ring. 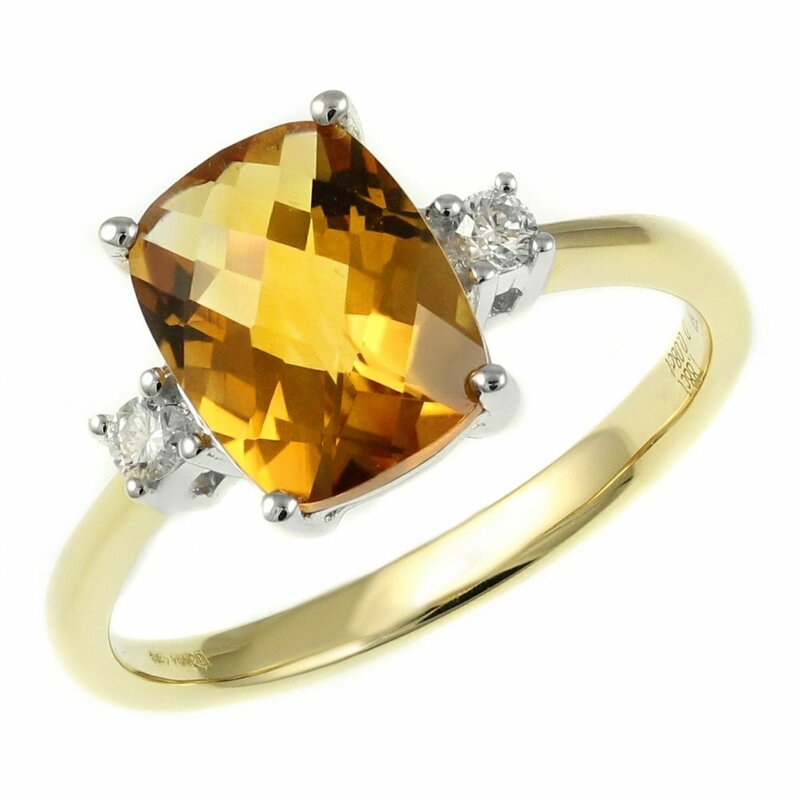 Cushion harlequin cut citrine in a 4 claw setting. Round brilliant cut diamond on each side, in a claw setting. F/G colour & VS clarity diamonds. Ring size L 1/2. Can easily be resized.